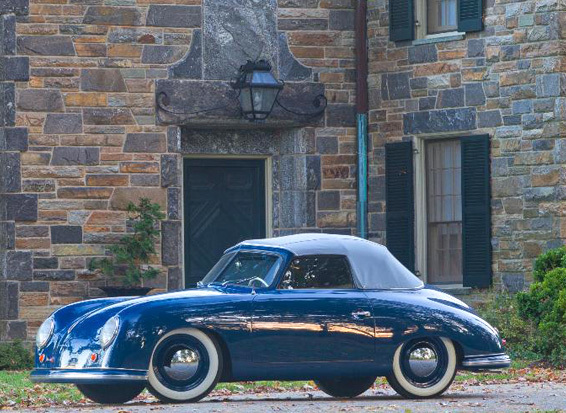 quest to find the oldest Porsche in the U.S. It's November and that means election time. Just when you thought all of the election mania was over, your PCA region is asking that you cast one more ballot -- to elect members to serve on the board for the 2011-2012 term. We have an excellent slate of candidates who are interested in serving as your representatives on the board of directors. Take 5 minutes to review the statements that each candidate has submitted and download the ballot and cast it by Nov. 30. Election details and ballot here. Nov. 4 and Dec. 2 Board meetings: Members are always welcome to sit in on the monthly board meeting. We meet at Brew City Grill, 10250 N Cedarburg Rd., Mequon, WI 53092. Brew City is on Hwy 57 between County Line Road and Donges Bay Road. Nov. 12 - Casual dinner and autocross awards banquet. Reservations were due Oct. 30. Event info here. Past events -- Check out the fun we've had in recent weeks. 50th anniversary finale -- another look. Here's a photo album with more memories from the region's 50th anniversary finale at the Wisconsin Country Club in late September. Photos by Mike Wiviott. October drive to breakfast -- Lake Geneva was a perfect destination for members who enjoyed a sunny Saturday and the chance to put a few miles on the Porsche in pursuit of a hearty breakfast in the company of other region members. Read the story here. Ckassifieds -- Members, remember our classifieds section is free. Instructions on how to submit your ad, along with a photo, are on the site. View classifieds here. September sales in the U.S. were up 25 percent. Read the details here. The oldest Porsche in the U.S. contest has delivered a number of outstanding examples of Stuttgart's finest. Read the story here. Motor Trend names Cayenne the 2011 Sport Utility of the Year. Read the details here. Cayenne Hybrid is due in dealer showrooms in November. Check the details here. A glimpse at the future 928. If you love the original 928 -- the 8-cylinder Porsche that combined comfort, power and handling, you're gonna love the next generation of 928s. Thanks to Paul Roller, region member, for the tip. Check this out.